What do the recent “new timetables” disasters really mean for disabled customers of the countries train operating companies ? Is the feeling of meltdown of even more significance for disabled people using the rail network or, have the abysmal communications around the issues hidden some very good news alongside the clearly unacceptable ? Oh and what kind of response from disabled customers is most likely to help support improvements, litigation or collaboration ? Ok, quite a few important questions there and like any complex issue we might want, even demand, “simple” answers but that was never going to happen as the biggest set of timetable changes, tho clearly the main villain of the piece, highlighted a range of linked issues which only served to show what a horrible mess the network has been in. For disabled rail users the nightmare of the timetable changes and subsequent driver training chaos etc had every bit as much impact as for any train user. The stress, the anger, the costs, the wrecked business or leisure days. We felt it all, no difference there but, it takes someone who needs a ramp to get on a train, or a friendly passenger assist persons guiding “arm” etc to really understand the added chaos of disruption on a truly grand scale. When your carefully pre booked “passenger assist”, linked as it is to a specific train because, well, your wheelchair space and or easy access seats need to be reserved, no MUST be reserved to guarantee the help you need, gets cancelled, you are not just talking about “jumping on the next crowded train”. No, you immediately go into a minor panic as you realise the next trains (often) just single wheelchair space may already be taken, that the Passenger Assist crew are likely booked out elsewhere, that the train itself may not be one you can safely get on ie when it’s an ancient steep double stepped “142 pacer” unit or a carriage with no wheelchair accessible loo or its too crowded to get near the loo etc etc. All this and if you are connecting somewhere and now have missed that leg of the journeys’ pre booked assistance it all starts over. Not great. It’s hard for everyone and trying to explain the added impact for disabled customers can I suspect feel a bit like “self serving moaning” except of course it’s the stuff of daily life for many and something that most do not understand, or frankly can be too bothered about when they are coping with their own “delay repay” claim and wrecked weekend. But in the midst of what was daily bad news about Northerns driver training issues, and withdrawal of scores of services to try and ease the nightmare, or similar “darn south”, the often poor Comms have failed to highlight another side to what’s going on, which is a series of smaller, less global style improvements that actually will mean a huge amount to disabled rail users. 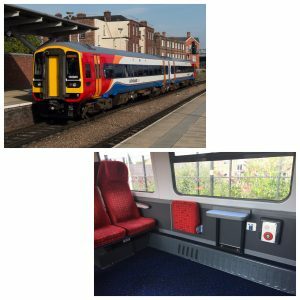 How about East Midlands Trains and it’s amazing, and I mean A-M-A-Z-I-N-G job of refurbishing it’s old 158 unit carriages ? The new wheelchair spaces are huge. There are two of them. Did I mention they are twice the size of what used to be there and, deep joy, the horribly tight turn into the carriage has gone, as has the stupidly placed luggage rack. Now you have small but useful table tops, usb points to charge your phone or iPad, panoramic windows and up to four seats that can be reserved for your companion, family, careers etc. It’s a sensational and yet unheralded step forward for accessible train travel. Why hasn’t this development been shouted from the roof of every station and why arnt other train companies who use the 158 units beating a path to EM’s door to copy this superb upgrade ? Similarly there’s Northern and some personal grief. On the Liverpool Cheshire Lines routes between Liverpool and Warrington to Manchester, Leeds, York, we have lost the excellent Trans Pennine Express with its gorgeously accessible and upgraded 185 carriages with space to spare. Replacing it is a new Northern Service which sadly only goes to Manchester Airport and had, for 18m been rumoured to feature just those impossible old 142 units. No matter how hard many of us tried we couldn’t get information out of Northern until a new accessibility manager took up post and went into to bat for us. But still, with only a week to go we heard the news that the service was to be upgraded to 156 units, x four carriages and just two disabled bays, sometimes only one on a two carriage train. Northern deserve huge credit for trying to get this improvement in place and when it’s running on all services it too will make a difference, a long overdue difference, but still, it’s arriving and like the East Midland refurbishments it’s not only wheelchair users who will benefit. Of course it’s all a well kept secret at a time when Northern needs some better news. Some Trans Pennine Express “managed” stations are going to get customer control “lifts” technology. This means that for later arrivals where the lift has been taken out of service as no staff remain on the platform…..you can now follow a process and access the lift, via the remote facilities. How good is that for those of us who have been let off a train only to find the one platform lift is locked out of use. There are station improvements happening. More TfL tube stations are getting step free access, tho the majority remain frustratingly inaccessible, but, if you can use the TfL website and look at the Step Free maps you are able to plan a lot of journies using the key step free “hub” underground stations and some accessible bus travel. Station signage, and that on trains themselves looks set to improve and assist the visually impaired and those with a heating impairment. The govts decision to make savings by slashing the station access budget is a woeful example of how disconnected govt can get from the absolute priorities of everyday life, of which the freedom to use public transport is certainly one. But it alone doesn’t disqualify us from shouting about…..and informing people about, improvements that can bring them back to the railways. Only by vastly improving Comms in the industry can we really start to live up to what the late Sir Bert Massie used to say about “information” which was simply that information is power and of crucial importance to disabled people. And then there is the “law”….. The last few years have seen litigation become a fact of life for bus companies as the famous Paulley versus First Bus company wound its way thru the courts. Whether the outcome of that case has or will actually change anything for wheelchair users getting on a bus remains to be seen. But my personal view is that measured, but firm and well informed collaborative approaches / strategies will often deliver more than Barristers squaring up to each other. Similarly I’m not a fan of illegal leaks of confidential data. Yep it can sometimes play a part in winning a battle as with the recent TPE attempt to run trains out of Liverpool that did not offer any facilities for wheelchair users. But it’s a dodgy and risky approach, one that often produces half a story and wrecks the lives of some of those doing the breaches of confidentiality. 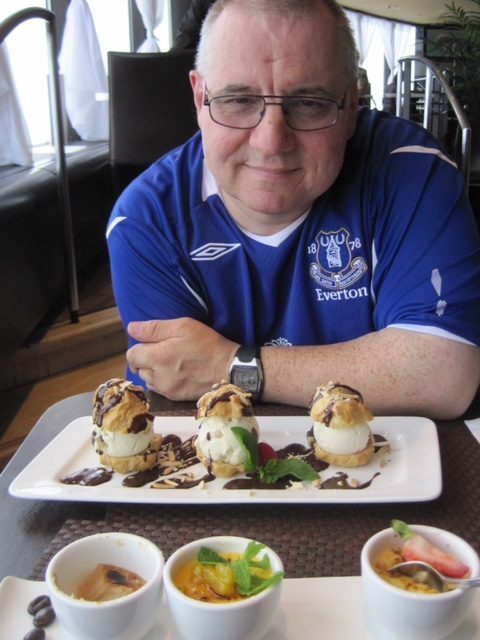 Rather than constantly throw around legal challenges and see the defensive reactions this can produce, we need to keep on collaborating, developing and playing a part in innovation, however frustrating that gets when some see leaking confidential information to the disability lobby as a kind of heroic act. Ok, as I’ve said above, this tactic can and sometimes does get short term results. It can be frustrating for those of us arguing the collaborative case, but those train operating companies can help by releasing information early, ensuring it is accurate and we’ll written and simply be seen to be ensuring collaboration works. But it’s short term and the longer term prize is a steady increase in embedded collaboration and best in class communications. Not as exciting as seeing a headline in the red tops but often in my view more productive. Of course this approach is seen as “weak” in some quarters and I get it. It’s hard to argue the pragmatic route into train operating companies when let’s face it, there is a small avalanche of high profile stories from well known celebs about their nightmare experiences on a train. I’ve had exactly the same issues, and more to be honest. But mostly I’ve been treated with respect by rail and train staff, who generally really want to help and feel embarrassed that the system is letting people down. 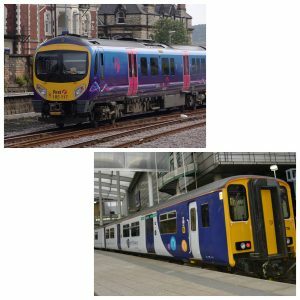 Where campaigners and I have very clearly aligned views is that the everyday process of “passenger assist” has to be more rigerously managed, with a better way to keep track…..yes I know !……of individual “assistance” from the first contact at the station, or call centre, to boarding the train. And crucially, we must find ways to make Turn Up and Go a reality, and onboard assistance more responsive in terms of communications between train managers and station staff. Can’t we design a system that lets us, the customer needing the assistance, seek reassurance that the assistance is aware of our arrival or that our travel times and carriage location have changed ? Can’t we find a way to urgently communicate that the accessible loo on a Service is out of order BEFORE a passenger who can only use that facility is boarded ? Simple thing this, but desperately important. Being “enabled” to use public transport has to be seen as a basic right in our 2018 world. It is not a charitable thing to do, it is not a favour it is not a generous gift. It is a basic human right in a society that values everyone’s contribution and involvement, equally. Sounds rather grand ? Well if it does then you probably take totally for granted being able to use a taxi, a bus, a train, a plane or even just walk thru your city using the pavement. Most people with a mobility impairment of any kind can never take any of this for granted. Instead it has to be a researched process that often destroys the enjoyment of travel and renders it a personal and quite fearful experience. How can that be right ? I think we are seeing a clear improvement in the way train operating companies collaborate with disabled people. It is not without the odd horrible example where that process goes wrong, but it is well worth persevering with and I hope to see much more of the collaborative approach in the future, perhaps looking and focusing on specific areas where there is clear need, like that of the hidden disability, mental health awareness, disability hate crime, and physical access barriers that still make journies a nightmare for a wheelchair user, or those with a sensory impairment or simply those for whom train travel is a scary thing to do independently. This entry was posted in The Blue Badge Blog, Uncategorised on 26th July 2018 by rustyman.